Mingtai aluminum production 1-8 series aluminum alloy sheet and plates, The company has semi-continuous casting production line 6, continuous casting and rolling production line 10, 44 other large processing equipment, the annual output reached 650,000 tons. is the largest aluminum sheet manufacturer . 6063 aluminum alloy sheet is a typical representative of the 6000 series Al-Mg-Si alloy. The main alloy elements of 6063 aluminum sheet are Mg and Si, which is a medium strength heat treatment strengthening alloy. 6063 aluminum sheet is the representative extrusion alloy. 6063 aluminum sheet has many advantages, and is widely used in various fields. 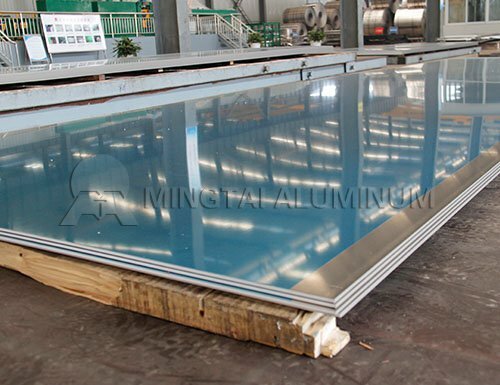 As a professional manufacturer of aluminum sheet, 6000 series aluminum sheet of Henan Mingtai aluminum has mature, advanced technology and a stable market in china. The representative products of 6063 aluminum sheet of Mingtai Al have been widely praised the market.